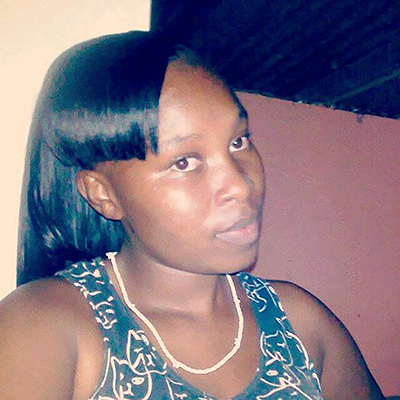 Phumeza Fudumele was shot dead by Cops in Dunoon last Wednesday. Photo: Facebook. An innocent young mother was shot dead by police in Dunoon who mistook the car she was in for a getaway car belonging to ATM thieves. Phumeza Fudumele (22), who was mother to two young children, was returning from her job at Nandos fast food outlet in Sunnigdale near Table View, late on Wednesday night last week. She was with her colleagues in at Toyota Avanza which was being used to drop them off at their homes. According to residents who rushed to the scene whem they heard shots, an ATM robbery had just taken place and informants told the cops patrolling the area that the criminals were driving a Toyota Avanza. Whhen the cops saw the Toyota Avanza dropping off Nandos’ employees they they didn’t check their vehicle match was accurate and unleashed a volley of bullets into the car, killing Fudemele instantly and injuring another passenger. The incident has left Fudumele’s family distraught. During an interview with West Cape News at the weekend, Fudemele’s mother-in law Nomasister Tsoli (46) broke down in tears. She cried throughout the interview. Tsoli said her son had stopped eating and left the house when he heard the news that his wife had been shot dead. Tsoli said her son was anxious when his wife hadn’t arrived home at the usual time after work and had gone out to see if a colleague of Fudumele’s, who live neaby, had any news. It was there he was told the tragic news. They went to the scene and saw a swarm of cops who had taped off the area around the vehicle. “They killed our breadwinner,” cried Tsoli, adding that her son was as good as dead without his wife. They were sharing the house of their mother for the past six years and raising their children. The grandmother said the cops haven’t even come to the house to explain what was going to happen now that they wrongly killed her grand daughter. Western Cape provincial police spokesperson constable Noloyiso Rwexana confirmed the killing of Fudemele. “Cases of murder and attempted murder are under investigation,” said Rwexana. When asked the age and rank of the cops that killed Fudumele and if they were still on duty, Rwexana directed questions to Independent Police Investigative Directorate (IPID). IPID Acting National Spokesperson Robbie Raburabu said it was too early to discuss the incident in detail. “Nothing is clear. Our investigations are at quite an early stage. We dont know who fired the actual killing bullet. We still have to establish how many police officers were involved in the shooting,” said Raburabu.